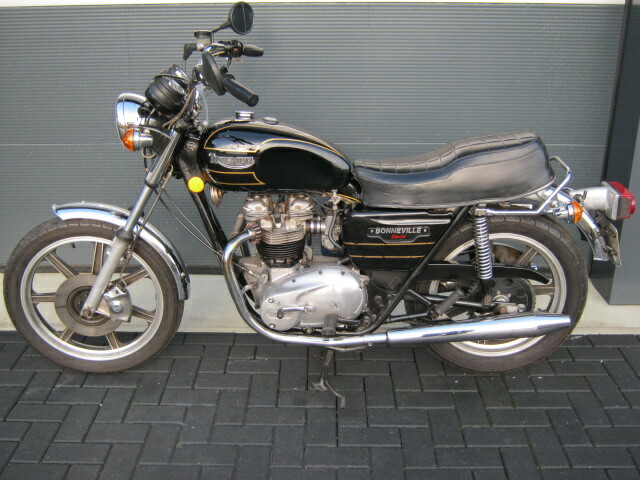 Original and unrestored '79 Triumph Bonneville. In special American "D-Special" version. This version is different from the normal models in; the seat, the black and gold colour, higher bars, Lester wheels and 2 into 1 exhaust system (is also with it) This one has been maintained very well (all bills are with it) and has an extern oilfilter fitted. 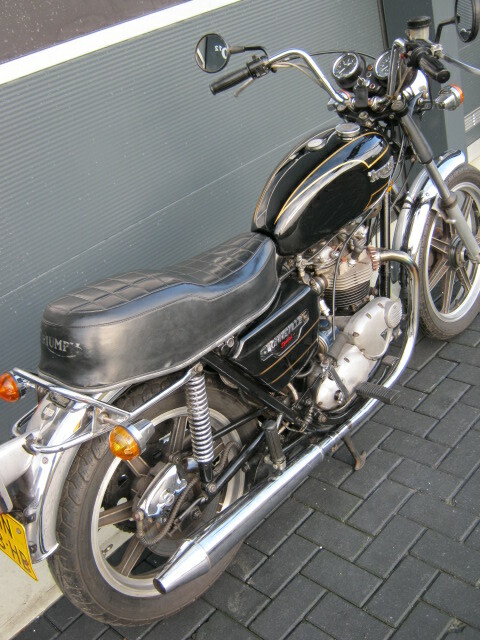 Has matching numbers and Dutch registration.